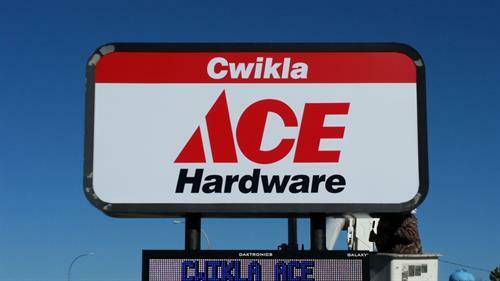 At Cwikla Ace Hardware are committed to being the Helpful Place when assisting Park Rapids residents in finding paint, tools, electrical, plumbing, hardware, housewares, pet food & supplies, lawn & garden, sporting, auto, and outdoor living. We also offer many services from key cutting, screen/window repair, Stihl repair, complete sharpening service, LP exchange and computer paint color to match, are just a few! We offer a wide variety of products for all of your grilling needs such as; Green Egg, Weber and Louisiana to name a few. Other top of the line products we carry are Yeti, Stihl, Craftsman, Milwaukee, DeWalt, Scots, Sikkens, Valspar and many more to help make your projects come to life. During the spring months check out our greenhouse for annuals and vegetables and don’t forget our outdoor living furniture. 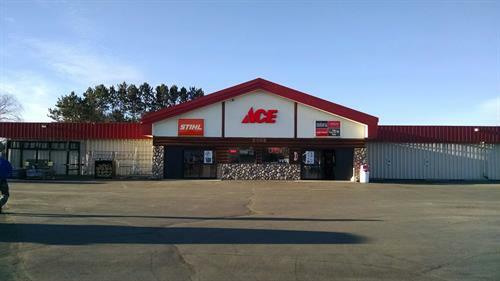 We hope to see you at Cwikla Ace Hardware, Park Rapids!